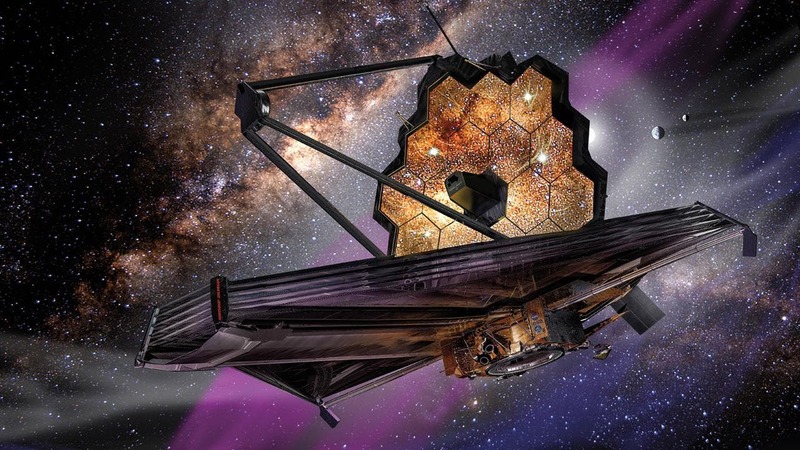 "This is a huge milestone for the Webb telescope as we prepare for launch," said Jim Flynn, Webb sunshield manager, Northrop Grumman Aerospace Systems. "The groundbreaking tennis court sized sunshield will shield the optics from heat and assist in providing the imaging of the formation of stars and galaxies more than 13.5 billion years ago." The first layer of the Webb telescope sunshield installed at Northrop Grumman's clean room in Redondo Beach, California. Credit: Northrop Grumman Corp. 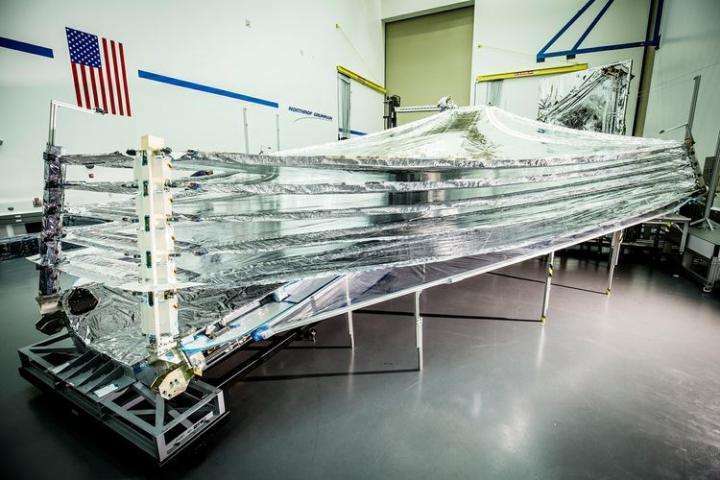 The five sunshield layers responsible for protecting the optics and instruments of NASA's James Webb Space Telescope are now fully installed. 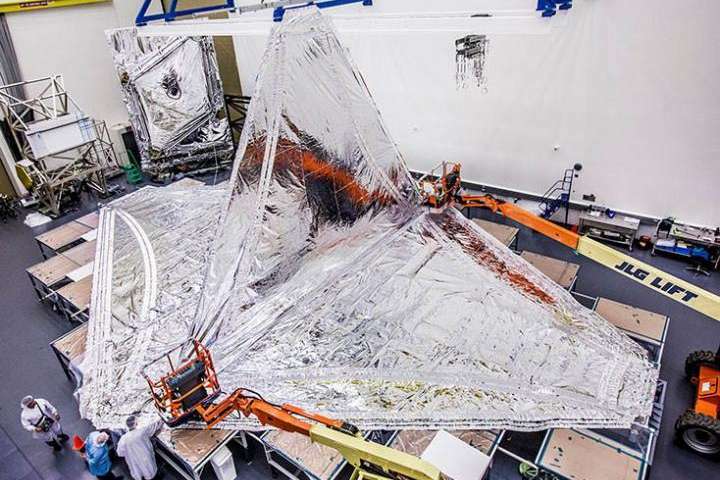 Northrop Grumman Corporation in Redondo Beach, California who designed the Webb telescope's optics and spacecraft bus for NASA's Goddard Space Flight Center in Greenbelt, Maryland, integrated the final flight layers into the sunshield subsystem. The team is now folding and stowing the layers, in preparation for deployment tests in August. The sunshield layers work together to reduce the temperatures between the hot and cold sides of the observatory by approximately 570 degrees Fahrenheit. Each successive layer of the sunshield, made of kapton, is cooler than the one below. All layers were installed and tested in June and July 2017 at Northrop Grumman Corporation's Space Park facility in Redondo Beach.